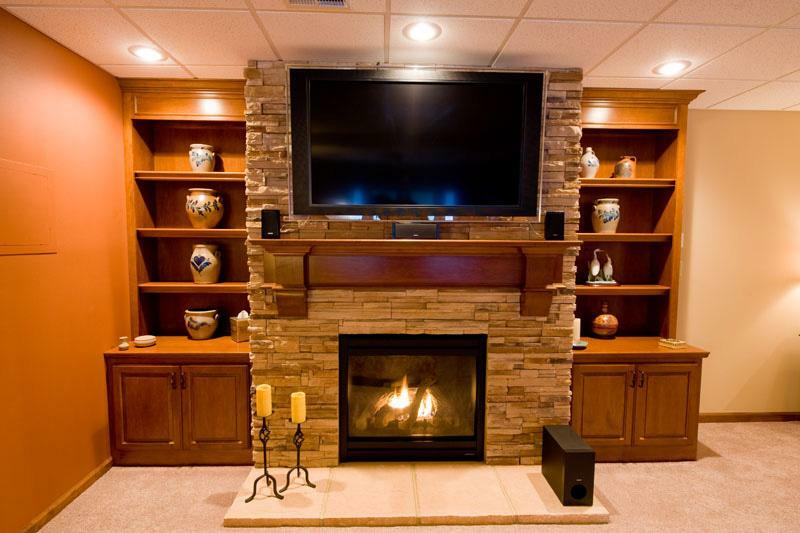 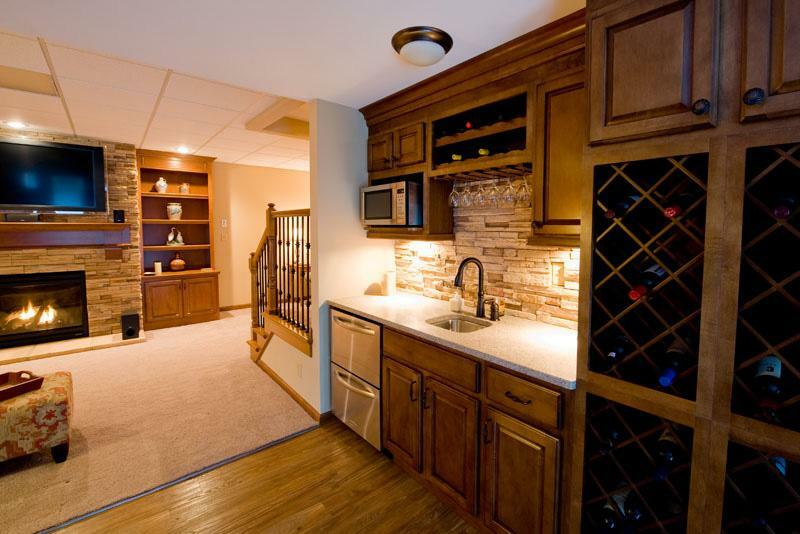 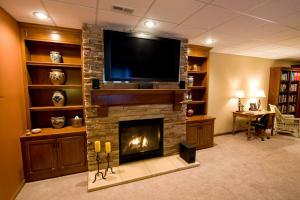 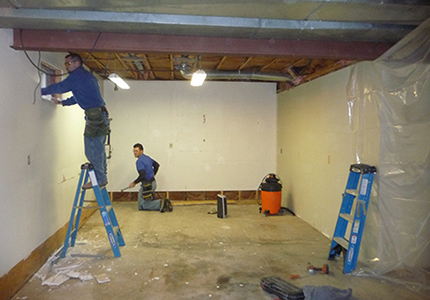 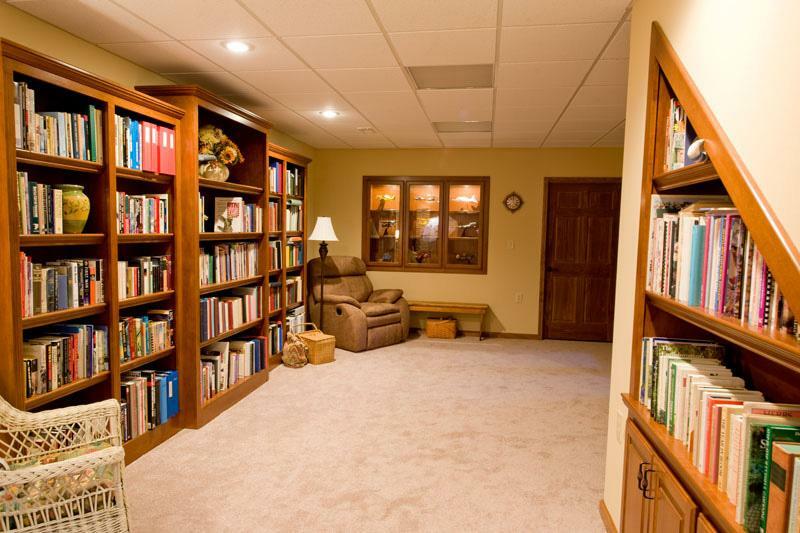 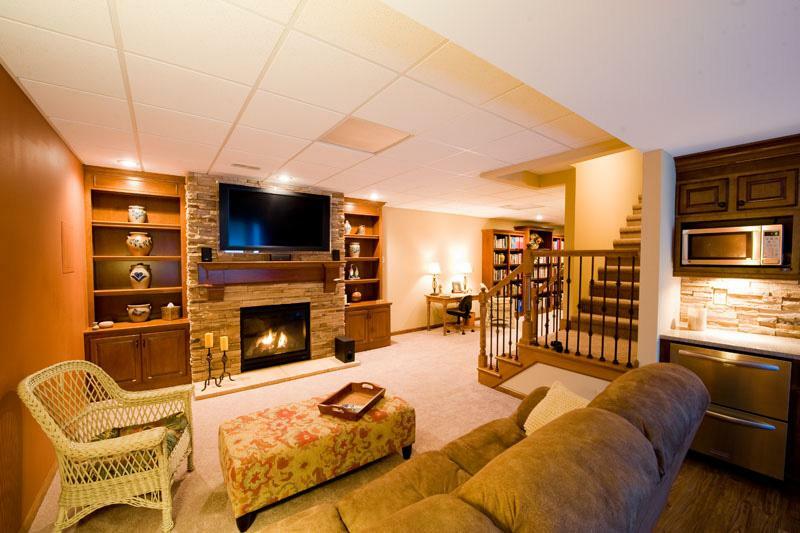 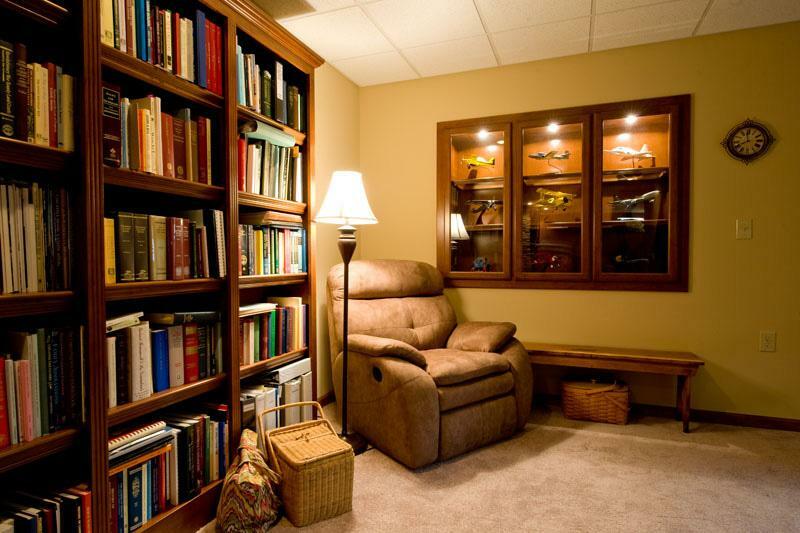 With an existing finished basement in Trenton IL, these clients contacted Fulford Home Remodeling to reorganize, enlarge, and remodel their existing basement space. 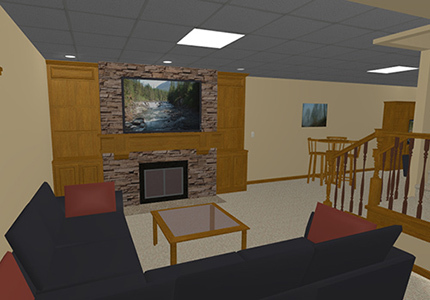 The client's ideas and “southwestern” tastes were brought to life with Fulford's initial 3-D virtual design that included a full bathroom complete with a whirlpool tub, an office area, reading room with custom bookcases, and a hearth room complete with a gas-log fireplace, cultured-stone surround, maple mantle and custom built-in storage flanking both sides of the TV area. 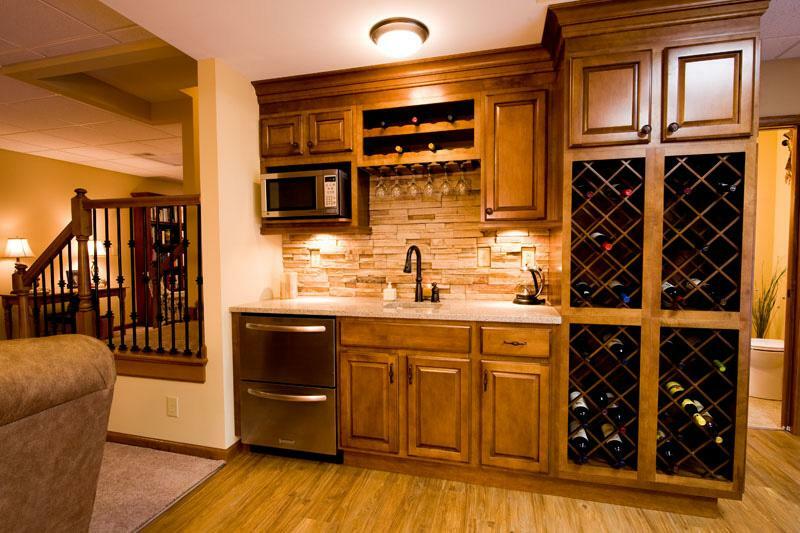 Custom bar amenities included “maple” cabinets, “Silestone” countertops, a cultured-stone backsplash, under-counter fridge, built-in microwave, and ample wine storage with stem glass holders above the stainless steel sink. 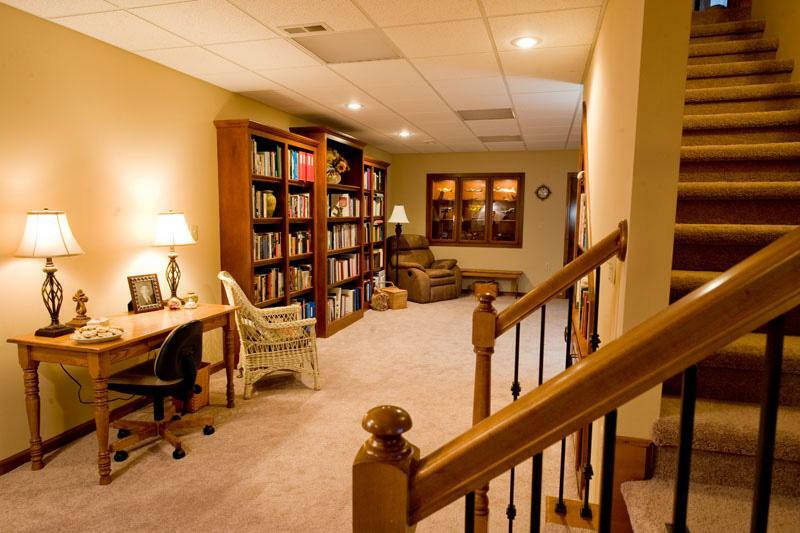 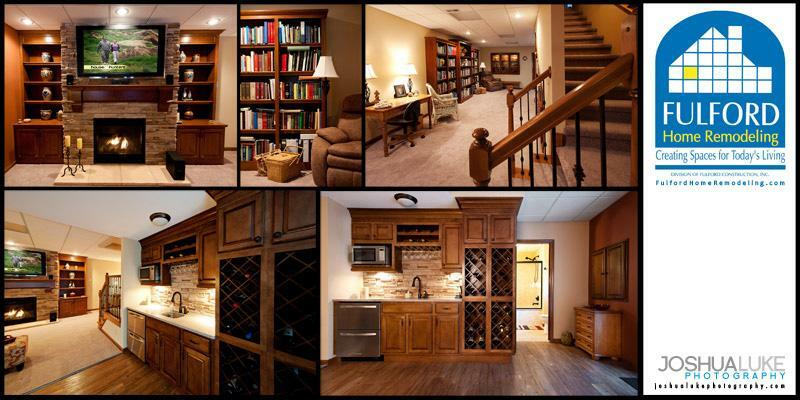 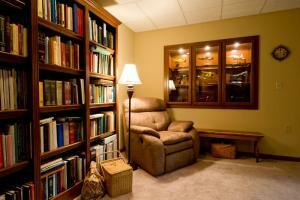 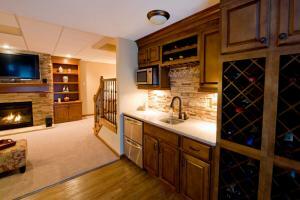 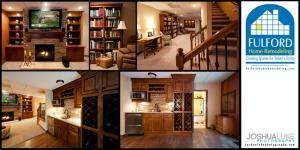 Other basement features included multiple lighting options, vinyl-plank floors, an aluminum open-baluster stair system, and custom built-in display and bookcase cabinets. 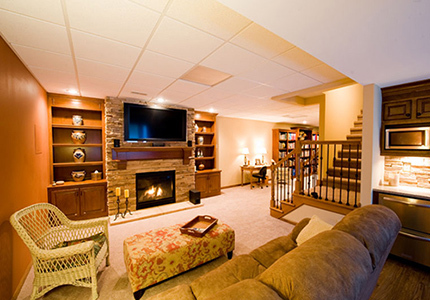 A great design, attention to detail, and amazing clients have re-invented this space to guarantee that this lower level will be a space of enjoyment and relaxation for years to come.